The Duraflex Tilt and Turn offers an excellent solution for many new build and refurbishment projects. With the larger 70mm frame time making good can be reduced. Security is not compromised either as the Tilt and Turn windows can be fitted with a variety of hardware and locking options, and also conform to BS 7950. With looks that will last, seamless sightlines and ease of installation, this is the professionals’ choice. 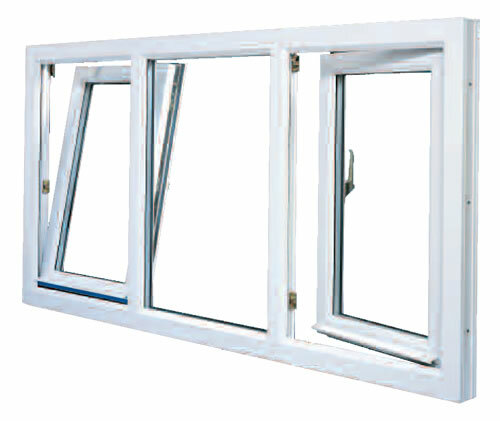 Download a PDF of the CE Declaration for these windows. Tilt and Turn available in both featured and bevelled. Full depth Euro Groove that is compatible with most types of hardware. Complimented by a full range of ancillary products. Conforms to BS 7950 security standard. Full range of co-ex bead styles capable of glazing 24mm and 28mm units. Complete compatibility with hinges, handles and hardware from the 65mm Diamond Suite. Full range of aluminum and steel reinforcement. Dedicated reinforcement sections available for maximum strength.